nj arts maven: More to do at MAM: Artist Talks, #MAMfftn, Classes, and more! More to do at MAM: Artist Talks, #MAMfftn, Classes, and more! Free First Thursday Night is back this week! Head to MAM this Thursday for an evening of art, music, dance and more. This month's special programming includes FREE admission, docent-led tours, the chance to talk with artists Jan Huling and Siona Benjamin, a dance performance with NJPAC and more! WHEN: April 4, 5–9 p.m.
Introduce your little one to the Museum! Children of all abilities and their families can explore artistic materials, make friends, and enjoy being creative together at CREATEabilities, MAM's new and inclusive family program. Led by an art educator and an occupational therapist, this program is geared for preschool children. The program includes an art-making activity, gallery visit, and story time. WHEN: April 10, 9:30–11:30 a.m.
Add this event to your calendar and buy your tickets at the Museum! Grab your ticket to MAM's next artist talk! 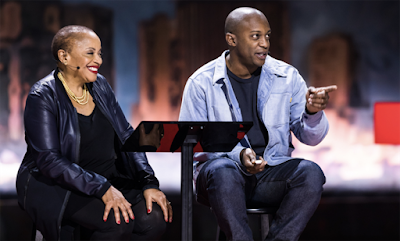 A Conversation About Art as Social Justice: Hank Willis Thomas & Deborah Willis, is MAM's 4th Annual Gaelen Family Artist Lecture. Thomas co-founded For Freedoms, the first artist-run super PAC, a non-partisan vehicle for participation in the arts to deepen public discussions on civic issues and core values. His “speech bubble” sculpture Ernest and Ruth, is an iconic work on MAM’s grounds. Moderated by MAM Director Lora Urbanelli. Artful offerings for kids, teens and adults! 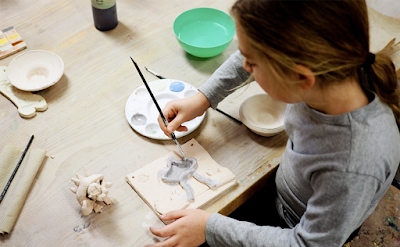 MAM's spring season is full of classes, camps and workshops, including ceramics, painting, drawing and mixed media classes. MAM's Yard School of Art was just named Favorite Visual Arts Camp and Favorite Adult Art Class in the 2019 JerseyArts.com People's Choice Awards—register today and find out why! LEARN MORE about Spring Classes!